Fast and efficient cash flow management as never been easier with Abtrac’s integrated invoicing software. 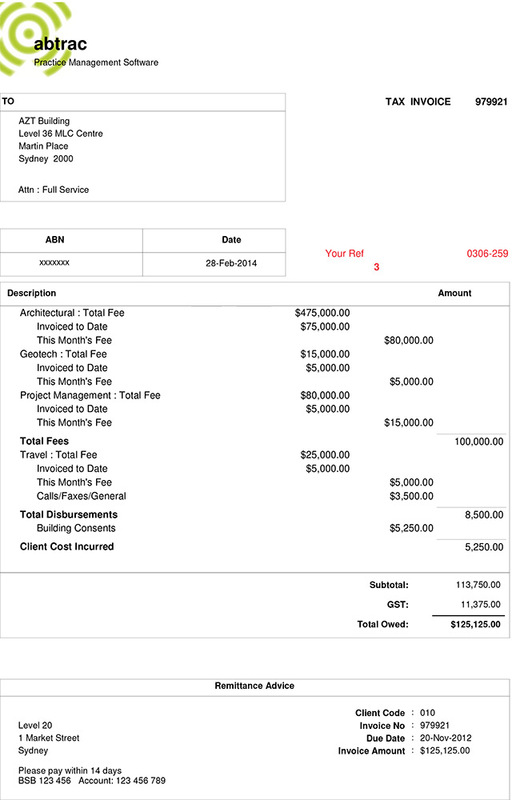 Create, send and track professional personalised invoices customised for your type of business. 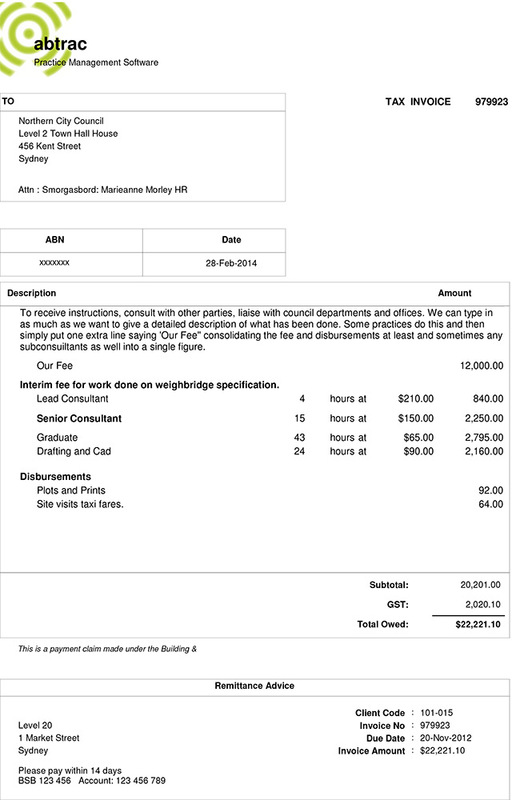 Automatic invoice generation or line by line creation. Copy last months’ invoices and save your favourite layouts. 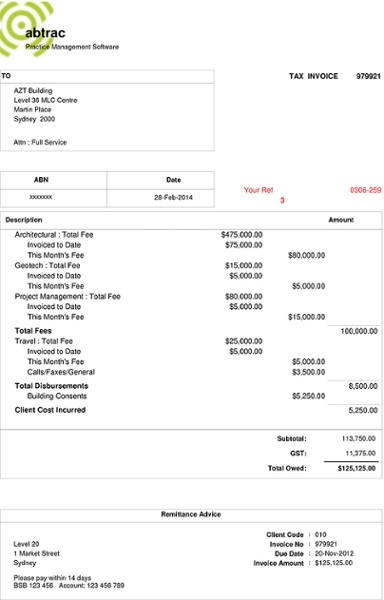 Flexibility to do bulk billing or multiple jobs on the same invoice. Ability to do recurring invoices. 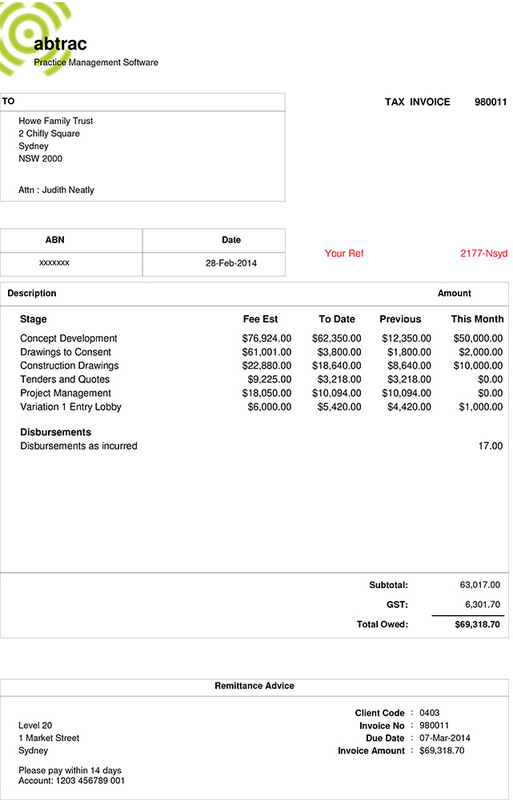 Automatically generate invoices based on job estimates or actual data. 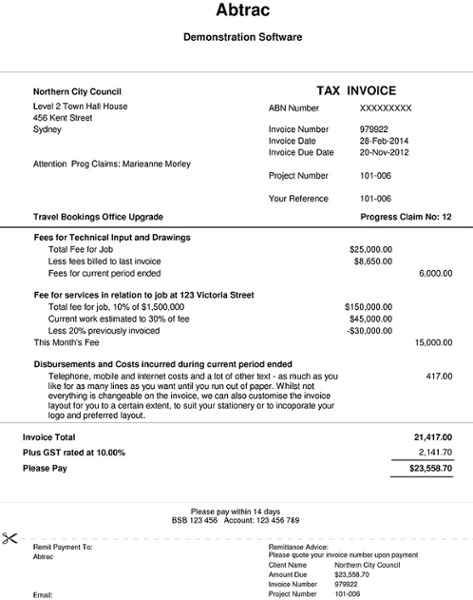 Invoice by stage, lump sum, progress claim and hourly rate. Include variations with disbursements, subconsultants, details or supplements depending on what you and your clients need.